Marvel Comics pioneer Stan Lee brought personality to characters like Spider-Man. The passing of Marvel Comics pioneer Stan Lee has brought tributes from around the world for a man who is credited with co-creating some of the most iconic comic book characters of the last 60 years including Spider-Man, the Incredible Hulk, Iron Man and Thor. For Dr Malcolm Cook, Lecturer in Film at the University of Southampton, a key part of Lee’s legacy is the personality he brought to characters, which has translated well to the highly-successful film adaptations that have become the Marvel Cinematic Universe over the last 10 years. 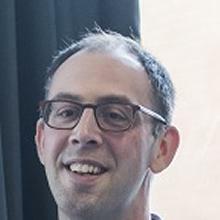 “We might think of comic book movies as a recent phenomenon, but adapting comics for cinema has been central to cinema’s development from the late Victorian period,” says Dr Cook who brings his research specialism in early animation and cinema into the first-year module entitled ‘What is Cinema?’, taught as part of Southampton’s BA in Film Studies. “Of course in the present day film adaptions have become particularly evident, with the majority of the top 10 grossing movies of each year being screen versions of comic book characters and stories,” he continues. 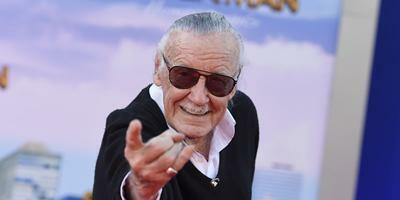 “Stan Lee was responsible for bringing the personality to his original comic book characters like Spider-man and the Hulk and in recent years his presence as an elder statesman, most notably in his cameos in all the Marvel films, continued this, giving them a stamp of approval and a link with the past. “As these films become ever bigger spectacles and big money spinners for corporations it remains to be seen whether they can retain the humanity and personality that Lee imbued them with,” Dr Cook concludes. Born in Manhattan, New York City, in 1922, Lee joined Timely Comics in 1939 which would later evolve into Marvel Comics in the 1960s. He first wrote for the character Captain America in 1941, creating his first character – the Destroyer – later that same year. His work alongside other Marvel artists and writers in the 1960s was central to the ‘silver age’ of comics books in that period. More recently he has served as a mentor and inspiration for new comic book artists, with his book How to Draw Comics the "Marvel" Way (co-written with artist John Buscema) often cited as an influence. He played a key role in Marvel’s involvement in film production, leading to the purchase of the company by Disney in 2009. Dr Malcolm Cook is Lecturer in Film at the University of Southampton.